A substantial portion of paying audiences flock to the Al Hirschfeld Theatre primarily to see Daniel Radcliffe in How To Succeed In Business Without Really Trying. Yet they aren’t getting Radcliffe on stage—they’re getting J. Pierrepont Finch, his character. However, Monday night at the 92nd Street Y, a full auditorium got Radcliffe for an hour and a half, nervous chuckles, self-deprecation, and all. In a long-form interview with Jordan Roth, the president of Jujamcyn Theaters, Radcliffe discussed the fears of taking on his first Broadway musical, the physical trait he thinks landed him the coveted role of Harry Potter, and that now-infamous Tony Awards snub. Here are some of the highlights. You work really hard on Broadway, and you have to if you want to meet a certain standard. I think people were kind of intrigued that I didn’t want to take the easier option of just signing on for another seven-film fantasy franchise. There wasn’t a huge amount of investigating into [the deeper meanings of corporate greed in the show]. My attitude was just sort of, “Let’s get the dancing done.” I started doing dance lessons proper and in earnest in January 2010. I had a meeting with [director] Rob Ashford at the end of 2009. I told him, “Singing—I’m working on, I’m comfortable. Dancing—not an option. Put it out of your mind.” He said, “Look, we’ve got a year. We’ll see where you can get in a year, and if you’re still rubbish, we’ll see what we can do. I’m never going to make you look bad on stage.” When you’re working on Broadway, the wealth of talent you’re working with every single night is incredible. You have to work hard to keep pace with [the ensemble]. I didn’t want Rob to have to curtail what he would naturally do, choreographically, because I’m rubbish. And luckily, some of the more tricky parts of choreography were given to us in December, so I had a chance to learn it before we started rehearsals. When I hear [the ensemble] being given instructions by our dance captain, they get, “No, we’re not going to do that. You’re going to do that on 7 and this on 3.” I mean, you might as well be speaking to me in binary. I can’t conceive of what they’re being told. Sometimes our dance captain will say something to me and I’ll just say, “No. Just show me, because otherwise I can’t envision what it means.” It was a long road, but it paid off in the end. I don’t want to miss [a performance]. I never missed one in Equus in London or here. I am terrified of something happening to make me miss a show. I have said that I would have to be in a stretcher, because they will have to drag me off that stage. Now in three months time when I get laryngitis, I’m going to massively regret those words. It’s such a competitive year, particularly in the male leading category. The fact that I am even being talked about in the same circle as some of those people being nominated, particularly Tony Sheldon [from Priscilla: Queen of the Desert], is amazing to me. The thing that shocked me was everybody else’s reaction to me and how they started treating me, because it was like I had lost a relative. In my opinion, it was sweet, but over the top. People would ask me [whispers], “Are you OK?” And I’d go, “I’m really OK!” I think I speak for 99 percent of actors when I say that the reason we do this job, while it’s lovely to get recognized by your peers, it’s not the reason why we do it. The people that do this job for awards and recognition are kind of worshipping at the wrong altar, and I’m not really quite sure if I want to know those people. I just want the next generation of child actors to not have to answer all those bloody questions in interviews. “How long do you expect it to last?” That’s what we get asked a lot. I used to get, “Are you scared that you’ll just end up on the scrap heap?” I have had that phrased that way. I’m immensely comfortable on a film set. I know my way around it. Once you spend 10 years on a film set like Potter, which is always quite chaotic and mad… whenever I go do an independent film, they always say, “I bet it’s not like this on Potter.” It’s worse! On film, you get to go in and out of it, whereas on stage, you’re just there for the whole two and a half hours. I mean, in a sense, you go in and out of character, because you go back in the dressing room and play Words With Friends for two minutes while John [Larroquette] sings a song. It goes with the whole child actor thing. The sad truth is that people love a train wreck. People talk all the time about young people in Hollywood that get into trouble. First of all, it’s none of your business what they’re going through. Second, you have no comprehension of what they’re going through, so don’t pass judgment on them. When I switch on the TV and I watch a program that I really don’t like where people are sitting around chatting, passing judgment on people, I think, ‘I don’t ever want to be the person they’re talking about.’ Assuming that you are somebody in the public eye who is screwing up a lot, you are theirs to debate on every level, and I am not comfortable with that. I think it’s the eyes that got me the job. I think I’ve now played three orphans, out of not many characters. I think I have orphan eyes. Do you like Daniel Radcliffe’s response to not being nominated for a Tony, Rushers? What do you think of his trepidation toward joining a Broadway musical? Does his insight into the world of fame surprise you? Leave your thoughts in the comments! “Orphan eyes.” He’s so awesome. I love him. It’s so refreshing to see someone so articulate, humble, and intelligent become this successful. He will have my support in whatever he does down the road: whether it’s theater, film, or directing. Every time I hear this young man’s interviews, I’m impressed. He’s incredibly talented, but he’s also focused, driven and obviously raised with a good value system. Have seen both his Broadway shows and loved both. I hope he keeps on the path he’s been on because I want to be able to see him for years to come. His view on the Tony “snub” is spot on. He’s so down to earth :) I never thought much of him before I actually viewed an interview he did, so level-headed, so humble. He was speaking before acting students and he thanked them for listening to him as he had never had training like they were working on. 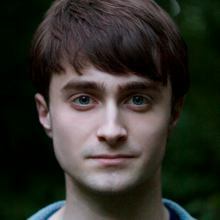 With his entire career still ahead of him, Daniel has the potential to become a more independent and seasoned actor with his own unique style; receiving accolades apart from his main recognition as Harry Potter. I think the best is yet to come from this young man and it will be exciting to follow his adult acting career.